Packing for a trip can be the most stressful and nerve-wracking task. Unless you are travel ninjas like us, that is. Our bags are always packed and we never fully empty our suitcases. Wondering what is inside? Being constantly on the road has taught us that there are a few things you should never leave the house without. Sunscreen. For sun protection, Biore has the best sunscreen. It is non-greasy, has a satin finish and, for the ladies, you can apply make up on top. Nobody wants to look or feel oily. Lip Balm. Don’t forget to protect your lips from the sun, Fresh Sugar lip balms give you kissable lips. Greek Korres organic lip balm is the manly alternative, we have put it to the test and know it works. Hand wipes. In many cases you’ll need sanitising wipes, from spills to dirty hands. If you’re out in the bush with no running water, these hand sanitising wipes will always be handy. Carry-on. We have traveled the world and back with our Tumi carry-on. Don’t believe us? Our founder has used hers for ten years, exactly 10 years, dragging it up and down stairs and airport corridors. And if anything breaks, you can take it in for repairs anywhere in the world for an instant fix. You can also monogram it with your initials. Insect repellent. To keep the mosquitoes at bay there is only one repellent you need. But be extremely careful. This has 30% DEET, the active ingredient in repellents that keeps away the most stubborn crawlies, but it can also send you on a Delhi Belly spiral. So be sure to wash your hands after applying. Pro tip: We prefer to spray repellent on our clothes rather than on our skin if we are in a very high mosquito risk area, so our skin is not in contact with DEET and it keeps longer – as clothes don’t sweat! Cause we all like to look pretty on the road (and at home!) here are a few travel essentials that will make you look fab from morning to night, from beach to mountains, from classy margaritas to dirty martinis. 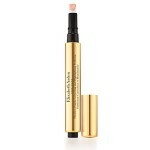 Make yourself look as bright as the island sun with Elisabeth Arden’s flawless correcting and highlighting pen. 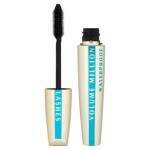 Bat your eyelashes with waterproof L’Oreal mascara. 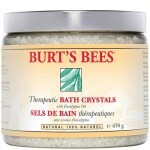 After a night out in town, relax with Burt’s Bees bath crystals and lemongrass bath oil. Make sure to take a bottle of champagne to the bathtub with you. Packing for a safari could be even more important than packing for a normal excursion. There are weight limitations on bush planes, for one, and the nearest store may be hours away. What to pack is determined by weather, season and destination, but there are some essentials you’ll need. A wide brim hat. Wider is better than just a peak as the sun will come in from all directions. For this typical wide brim safari hat is great and for the ladies, who may be slightly more fashionable, you can use this Researcher hat version. High factor sunblock and lip balm. The sun is not kind in the middle of a safari, so you’ll need to protect yourself. It’s best to bring a dry, not oily, sunscreen, so it doesn’t go all over your clothes. Lip balm is also critical. Our choice is Biore’s dry face SPF50 which leaves the skin dry and you can even put make up on. A bandana or handkerchief. A nice way to protect all other areas the sun may reach. Sunglasses. If you don’t want your eyes to burn from the sun, a good pair of (polarized) sunglasses is essential. These Oakleys are simple and great. Sturdy waterproof shoes or an old pair of trainers. You don’t need a high-tech and expensive pair of trekking shoes for a safari. You could even wear flip flops, as most of the time will be spent in a 4X4. But we suggest a closed pair of shoes, so that you keep mosquitoes and insects away. Bring ones that can get a bit dirty for the times you are out of the vehicle. But note the difference between savannah/plains and jungle, the one is desert and the other is thick, humid and filled with insects. For this, a pair of water proof hard and high trekking boots is essential. Nature colored, airy and light clothes. Animals notice unnatural colours more easily. So if you plan on going on a walking safari, make sure to wear green, dark, khaki and tan colors. Breathable clothes are essential because it does get very hot during the day in Africa. Long sleeves are welcomed as they protect you from the sun. Trousers with a zip. Long pants with a zip that can turn into shorts, which is indeed very useful in the wild. When you have both long trousers and shorts in one, you will have one item less to pack. For girls, Columbia does a decent pair, which is also available for men. A fleece or light jacket, ideally waterproof. If you plan to go on safari in the rainy season or, if you are planning a safari into the more jungly countries, you will need a waterproof light jacket. In places like Uganda’s Bwindi Impenetrable Forest it is a permanently damp place and it rains almost everyday. Temperatures are still high so don’t bring a winter jacket just a coverall that is waterproof. Safari camera gear. You will need a long-range lens (300 ideally) to capture the wildlife as you may not get too close to it, a cushy backpack to store the photography kit when in the car to protect it from bouncing into all directions, and a tripod so that you can capture the wildlife when in full zoom-in focus or the starry night sky. And don’t forget the GoPro! It is great to stick it to the top of the car and record the driving around. Swim wear. Most lodges have a swimming pool to while the hours away between morning and night game drives. The weather is hot, so cooling into the pool is a great way to relax. Heavy duty mosquito repellent. Bush mosquitoes will outdo any regular repellent, so get the 50% DEET ones. And spray the clothes, not you, as it is too toxic. Plus make sure to wash your hands after you apply. This one is great, but please wash your hands when using it. For regular safaris, this one is enough. A torch or a mobile phone with it. To walk back from the lodge main dining area to and from your room/villa. Many lodges will have open fences and wildlife will roam around. In that case, a lodge ranger will most likely walk you back, in case there is any danger. In the cases when walking is fine, you will welcome a torch to find your way. Wet towels. These are not essential, you can leave without, but when the drives get dusty you will appreciate having a wet towel to wash your hands and face with before reaching the camp. Water bottle. Bringing your own bottle will help preserving the environment and making sure that you don’t keep on using plastic bottles which may be really hard to dispose of in the wild.